It seems ages since we first heard about Pikmin 3, doesn't it? Shigeru Miyamoto apologised for its no show way back at E3 2010, and it was the same at last year's show. There'll be no such apology this year, as Nintendo confirms we will see Pikmin 3 in June. So there you go: a new Pikmin game that Pikmin fans will enjoy. Post your reaction to this bombshell in the comments below. Hopefully it won't be 'whatshisface crashes his rocket somewhere'. Would love to have a large pikmin adventure game. A Pikmin with fUll HD graphics and advanced physics will be awesome, i can hardly wait for the Wii U to arrive. Buying a Wii U right away for this game! I've not really got into the NPC Pikmin 2 I got recently.I had always meant to get it for the Gamecube back in the day so was a little disappointed when I finally got round to playing it.I'm sure if I spend some more time with it it'll grow on me though considering all the praise it gets.Nows a good time I suppose cause if I do grow to like it I'm only a few months away from the HD threequel.I bet its fans feel like they've been waiting an age for this?I'd say the last Nintendo game to blow me away apart from Galaxy 1 was Eternal Darkness,incredible game.If they really want to bring back the detractors then a true HD sequel to this could do it.I know many 360 gamers who still say that's 1 of the best games they've ever played.Super Mario Mii (bundled),Pikmin 3 and Eternal Darkness 2 would surely guarantee a successful launch and avoid being criticised for milking their franchises. Really interested to see how they implement the new controller into this game. I've never played Pikmin, but I'm willing to try it. I think they will make good use of the u pad. Great, now how about that Vitality Sensor? @Kyloctopus Why would you ever want a vitality sensor? just go to a doctor or something. I've never played Pikmin before,probably going to skip this one too. I thought it would be, but that's still very exciting news to hear that it's definitely going to be shown. Very curious to see how the handle the jump from Gamecube to Wii U with Pikmin, and anything less than amazing will be unacceptable. Hopefully this should be one amazing launch title for me to pick up with my Wii U day one. I want it, but I haven't played 2 yet. I hope they also confirm VC cube games. YEEIA! Finally it's coming, I hope it's long and amazing, because it must be worth the wait! @King_Boo They have confirmed that gamecube games will be on the Wii U VC. It was said in an interview with some marketing person, and when asked for more info Nintendo did the usual: "We haven't confirmed this" or something along those lines. "In a recent interview, Mr. Miyamoto confirmed that a new Pikmin game will be shown at the E3 Expo in June. He believes that anyone who has played Pikmin games in the past will enjoy playing." Anybody else a little bit worried it will be a Wii game? It could be a 3DS game also. They basically already made one w/ Kirby Mass Attack on the DS. Not trying to be a jerk, would just like to see "Pikmin 3" and "WiiU" in the same sentence somewhere. Love the first two but money is tight now. I doubt ill be able to pick up a Wii u for about two years. At least then I can get it cheaper and with a bunch of games. Until then ill just enjoy all the excitement through all of you! Should be great! 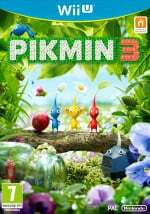 I'm glad Pikmin is getting a 3rd game in the series, its going to look awesome in HD. Pikmin is one of those games that's hard to keep the story interesting, and not repetitive like Mario. It demands something more than just crashing on the Pikmin planet in every game I can't wait to see what story they came up with. I'm hoping for online battles or co-op online challenge mode! They confirmed it for WiiU last year. Cool... It's been a very long time since I played Pikmin. Ironic since I just mentioned yesterday that Nintendo hasn't talked about this game at all for a while. Never mind! I can't wait to see it June 5th! Game has been in development for years... I can't wait to finally see it. 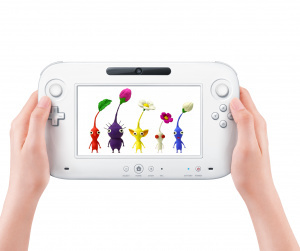 Never played a Pikmin, but glad to hear some first party Wii U news. YAAAAAAAAAAAAYYYYYYYYYY!!!!!!!!!! This makes me so happy. Year in and Year out since like....2008 or 2009 I've been thinking "Ok, THIS year we'll see Pikmin!" Each succeeding year my hopes would grow higher thinking "Nintendo can't POSSIBLY hold it back AGAIN!" Nintendo has played with my emotions over this game for years now and this June, my eyes will finally behold the greatness that is PIKMIN 3!!!!!! I'm so excited. This may be my most anticipated game of all time!!! I have spent too long waiting for Pikmin 3. I will buy a Wii U specifically for this game (and hopefully a new F-Zero as well). I'm really excited for this (heck, I've waited nearly 8 years for this!) and I can't wait to see new mechanics, features they've added and of course, to see the Pikmin world in glorious HD....but I actually hope they only add one new colour of Pikmin. Any more and it will be too much to make a balanced squad - heck with Pikmin 2 I could only just make a practical group with 5 colours. Any more than one will be overkill unless they implement the ability to have over 100 Pikmin on the field - but then again that will make it hard to manage with such a large group. It's in good hands so we'll see if it can blow us away at E3. Hurry up June! Good news I suppose. I might be in the minority here, but I'd like a Pikmin on 3DS right now more than Wii U.
I'm more exited for this compared to the new Mario. This is the best news I've heard from Nintendo since the announcement of the 3DS. It's been way too long since the last pikmin game! I think it will be a perfect fit on the Wii U.
I hope it's a Wii U launch title. Who cares guys, I can't wait for "Super Mario Platformer #242-b" instead. I'd like to play a new Pikmin. 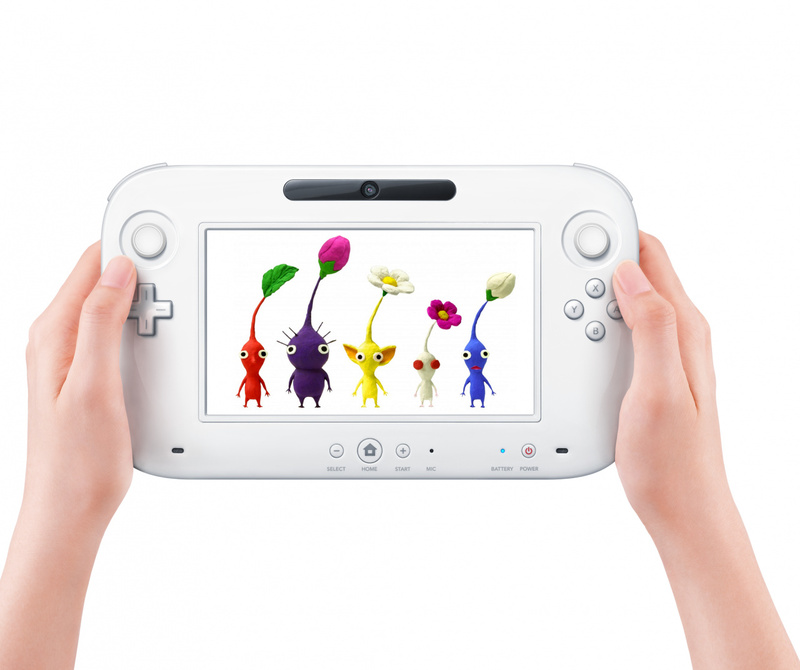 I also hope, though, that at some point, the 3DS gets some Pikmin love as well. The landscapes would look amazing in stereoscopic 3D. For the first E3 in ages, I won't be left feeling various degrees of disappointment because of Pikmin 3's absence. Pikmin 3 has taken far too long to see the light of day, and it has created indifference with me. Pikmin is going from Gamecube to Wii U, so my expectations are very high to near ridiculous. It doesn't help that this game was "announced" several years back, and that tease adds to the already high expectations. Pikmin 3 is also coming after Xenoblade, so I expect many massive regions for this installment. The power of the Wii U should be used to make a larger game, I'm not at all interested in this looking significantly better than Wii games. Just Imagine what Pikmin would look like with High Definition graphics! It'd look SO real. The grass, the trees, the background....WOW! I've never played Pikmin before in my life... but i think i'll buy this game! I'm upset that this game isn't being released for the Wii. It would be nice if they did a dual release like they did with Twilight Princess at launch. They only have been promising this game for the Wii since forever until the announcement of the WiiU. I'm not going to buy a WiiU just for this game. The WiiU won't even play my import copy of NPC Pikmin 2. I had to softmod my Wii to play that game because NOA didn't feel like localizing it. Nintendo hasn't handled the releases of this franchise very well. Whats next Animal Crossing HD, their is a demand for these type of games but hopfully the Wii U won't be quite as flooded with them as the Wii was. Games with a bit more of an edge are needed for the launch. I'm actually more intrested in seeing how they improve the virtual console, the virtual arcade etc. I enjoy the first two. I think this series will look beautiful in HD. Glad Nintendo is finally stepping into the HD realm. Graphics aren't as important as the game itself, but it sure doesn't hurt to look good either! The first 2 games didn't interest me as they seemed too dark (I mean literally, the areas in the game were too dark to see). But regardless, I will be getting this one! Here's hoping for launch day!